Welcome to the Top 5 Best Dimmer Switch Reviews. In this analysis, I`m going to review the best dimmers that I have installed. With the best I mean, easiest to install, control, usability and of course quality. You don`t want to buy and install something that you`re not happy with. I have included the most used dimmer types and picked the best one from every group. So if you need an universal, low voltage, wireless, dual or maybe a plug-in dimmer, you will find the review in this post. Don`t have time to read the whole review? While some of you who visit my review page, want to know what I have to say about the reviewed dimmer switches, I fully understand that some of you are just simply looking for a high quality dimmer switch. Maybe you even have an clear idea of what type of dimmer switch you need because you’re replacing one? It could even be that you’ve done loads of research by now, but you haven’t found the best dimmer yet. In which case, I’ve added a table below, that will tell you everything you need to know. 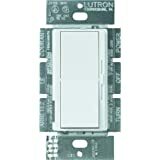 In this first review we`re going to take a look at the Lutron DVELV-300P which is a very popular high quality dimmer switch. It`s designed to control Electronic Low Voltage transformers that are driving 12 volt or 24 volt Halogen lamps. Have you ever wanted a trouble free dimmer switch, you could trust to do the job? 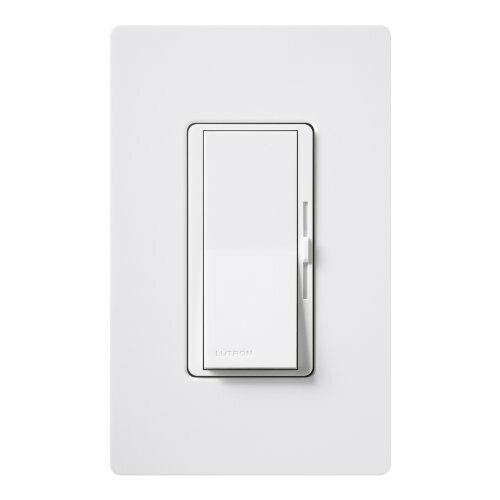 The Lutron Dvelv 300P dimmer brings together all the functions you want from a dimmer. It`s durable, high quality, easy to install and buzz free. Some of the older dimmers makes a buzzing or humming sound, that can be annoying. The sound is created by cutting up the AC current traveling between the dimmer and the light bulb. Rather than dimming the light bulb, the dimmer switch actually cause the current to flicker super fast, so that to our eyes, it seems that there is a smaller amount of light. The blocked current can make a vibration in the electromagnetic field inside the light bulb or inside the switch, which can produce a buzzing noise. The Lutron Dvelv 300 P takes care of the buzzing, that can occure with some of the older dimmers. So if you experiencing buzzing – This should be your choice, if you want a silent dimmer. Check out what others are saying about the Lutron Dvelv 300P dimmer on amazon. For use with incandescent or halogen 120-Volt light bulbs. For electronic low-voltage applications. 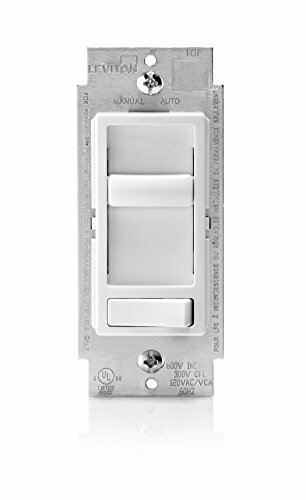 Best low voltage dimmer switch? Really is no other choice than the Lutron Dvelv 300P dimmer if you have low voltage lighting that you want to dim. In this review we will take a look at the Lutron Maestro 300 Watt Dual Dimmer and Switch. What is a dual dimmer switch? This a dimmer that integrates both a single-pole switch at the bottom as well as a dimmer on top. This dual dimmer switch allows you to turn one light fixture on and off with the bottom switch and adjusting the lighting level of another source with the top dimmer. This dual Dimmer Switch is a perfect replacement for piled switches commonly found in kitchens and bathrooms. Two dimmers for the price of one? With this dimmer you get two controls in one, plus it`s filled with all of Maestro’s brilliant features. 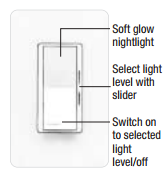 The super easy to use tap switch turns lights on/off to your preferred light level or tap twice for full lights. Press the switch, hold it between 1 – 6 seconds and release the switch for delayed fade to off. The delayed fade to off gives you 10-60 seconds to get out of the room or get into bed before the lights go out, a very useful feature and a real “toesaver”. By using the rocker you can adjust the light level for any activity. LEDs display the level of light and glows softly in the dark, so you can easily locate the switch. The dimmer works with incandescent and halogen bulbs, while the switch can be used to control incandescent, magnetic or electronic low voltage, or non-dimmable fluorescent lighting loads or exhaust or ceiling fan loads. At the touch of a button, this dimmer can go immediately to a favorite preset light level, fade-to-off, or adjust manually. Dual controls also consolidate light switches and save space. 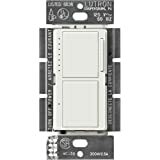 If you want to see more reviews about the Lutron MA-L3S25, take a look here at the amazon reviews. For you DIYers the switch comes with instructions and diagrams on how to install it. The installation is a simple project, if you have changed an outlet, you can handle this too. 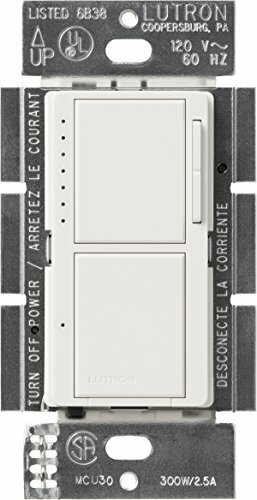 If you`re looking for a realible dual dimmer, the Lutron MA-L3S25 is a top pick. Let`s take a look at the Leviton Decora SureSlide review. These dimmers provide smooth, slide-action, full-range dimming for incandescent and dimmable LED and CFL lamps. As many of you know and easy and cost-effective way to make your home more energy efficient, is to replace standard light switches with dimmers. Can`t find a universal high quality dimmer? The challenge today is to find a dimmer, that works effectively with all the current varieties of bulbs on the market, leviton has met that challenge and is pleased to introduce the new Leviton decore sureslide universal dimmer. This cutting-edge device expertly controls the dimming of incandescent, cfl and LED bulbs, now that’s a pretty smart dimmer. Let’s take a quick review of the types of bulbs you may choose for your fixtures. The standard incandescent bulb is most familiar because most everyone’s been using them for years. Newer to the market are compact fluorescent lamps, generally referred to as CFLs and light-emitting diode bulbs generally referred to as leds. Added to the mix are dimmable CFLs and LEDs, which is what I’d like to focus on today, since dimmable bulbs are compatible with the Universal dimmer. Is Leviton sureslide 6674-P0 the best led dimmer switch? The leviton sureslide was first available in 2012 and after installing it numerous times and getting just positive feedback from customers about it, I think it`s a good choice for anyone who wants a good dimmer. standard dimmers. For example this new device provides seamless startup, so there’s no momentary delay. A better dimming range, they create the perfect ambience for any occasion and are essentially future-proof, because they work beautifully with most of the latest cfl and LED bulb technologies on the market today. Plus the energy savings add up over time, making them friendly to both your wallet and the environment. Read what other customers has to say about the Leviton sureslide 6674-P0 on amazon. Best pick for led dimmer switch? If you`re looking for a dimmer packed with the best features, the Leviton sureslide 6674-P0 is a high quality choice. 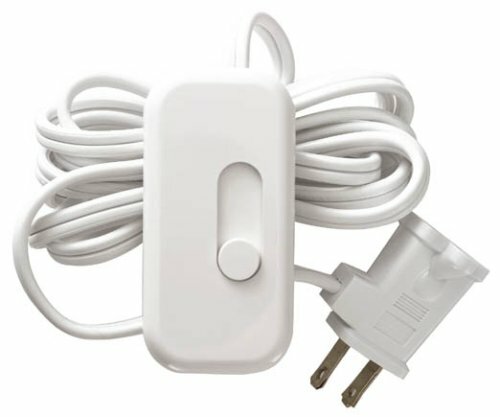 In this review we will take a look at the GE In-wall smart switch dimmer, that allows you to control lightning and other devices wirelessly with an app. Now that everyone got mobile devices, this little switch is very useful. 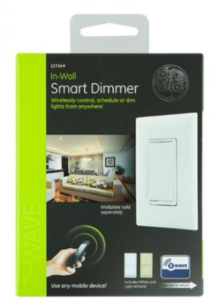 Why should you get this GE Smart Dimmer Switch? The benefit of smart lighting are pretty easy to understand. We have all left the lights on when we have not intend to, or forgotten to do the same when we had wanted to, leaving us coming home at the end of the day to a totally dark apartment or house. Smart lighting gives you the opportunity to schedule it all automatically or control everything remotely. Connect and control lights and other household devices wirelessly from anywhere with your phone or tablet and give yourself a piece of mind that comes with knowing your home is secure, regardless of where you are. Z-Wave is a fully customizable home automation system, that works by allowing you to connect through your Z-Wave compatible Gateway. Giving you full control over your lights, entertainment consoles, coffee makers and other small appliances, when you want and from where you want. Works with all CFL, LED, halogen and incandescent bulbs up to 600 watts and other devices. Schedule and control ceiling and wall lights. Maybe you want to read more reviews before you decide? Check out these comments from other customers on amazon. 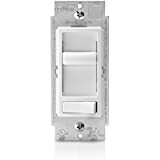 Replace easily any normal in-wall switch with the GE Z-Wave Smart Dimmer switch to control lighting or small appliances with your computer or mobile device using any Z-Wave certified gateway. 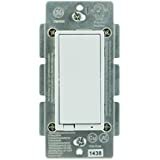 After installing all sorts of wireless smart switches, I have come to the conclusion that the GE Smart Dimmer Switch In-Wall Z-Wave 12724 is your best choice. It’s reliable in quality and offers extra features not found on any other Z-Wave smart in-wall dimmer switches. It has the very handy option for multiswitch control at a fair price. Want to dim table lamps? Well then this plug-in dimmer is a great pick. Dimming incandescent table lamps add comfort, usability and workability. You can adjust the lights to every situation. The installation of this Lutron TT 300 H is very simple, just plugin the dimmer, then plug your lamp plug into the dimmer and that`s it. You can pick from three different colors: white, brown and black. It`s available with or without night light – The night light LED glows in the dark for easy acces and as a soft night light. Read more user experiences about the Lutron 300 TT H on amazon. The Lutron TT 300 H is a good choice for a plug in dimmer. After installing the new or your first dimmer switch, it would be a good idea to save your electric bill for the next few months, so you can compare it to your old bill and see what has changed. Hopefully will your electric bill have a nice big change for the positive and you may be motivated to try this project with the rest of your house and with even more positive results. And most crucial of all, don’t be shy to ask for a professional installer, meanwhile they are not only worth the money, but sometimes extremely important in making sure, that everything goes perfectly. 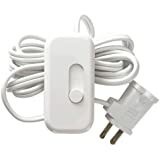 Thank you for reading my “Best Dimmer Switch Reviews – Complete Guide 2019”, Dave.